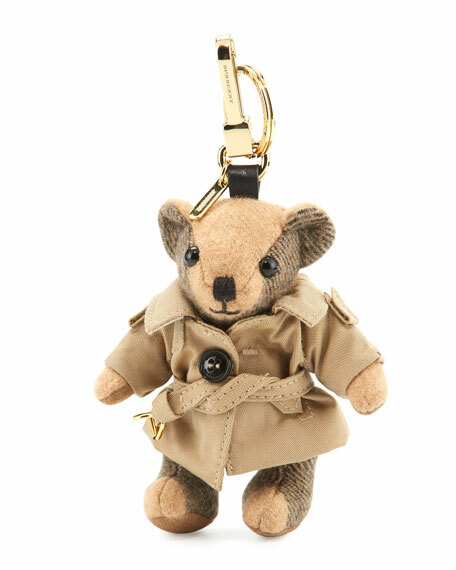 Burberry check cashmere "Thomas Bear" charm for handbag. Features moveable arms and legs. Golden lobster clasp and key ring. For in-store inquiries, use sku #2042243.